Awesome Con 2018 brought with it new opportunities to educate and entertain. 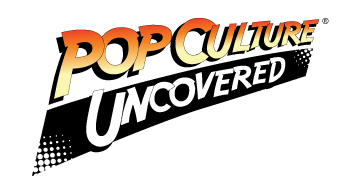 To that end, Pop Culture Uncovered was privileged to be able to present two great panels. One of those was on disabilities and computer/video gaming, an issue important to several of us here. With a pretty significant turnout (the audience area was almost full), our panel allowed us to bring attention to disability, accessibility and representation in gaming, and the use of gaming for therapeutic purposes. We don’t want to bore you with a complete rehash of our panel, much of which we’ve written about before. Instead, we’d like to focus on our experience as well as cover any key points, especially for those unable to attend. If you’re reading this, then either you’re well aware of why this issue is critical, or you’re curious about the topic – which is fantastic. So without further ado, let’s get into it. As we mentioned earlier, we did have an excellent turnout for the panel. There were some familiar faces, but the majority of those in the audience were folks we’d never met before. Everyone seemed very engaged in the conversation, and there were lots of good comments and questions from the crowd. So first and foremost, we’d like to thank all of those folks who showed up and joined the discussion. Without you all, we wouldn’t be able to talk about these critical topics. Another cool thing that we want to mention was the accessibility of the panel itself. The folks who run Awesome Con were, well… awesome enough to book us a room without a dais, so that Doug could get his wheelchair behind the table efficiently, and they also provided us with ASL interpreters for the Deaf/HoH folks in the audience. It looks like the recent changes to Awesome Con’s accessibility team didn’t cause any faltering in their willingness to do what needed to be done to ensure accessibility for all attendees. For that, we’d like to thank the con staff and all the volunteers as well. As a bit of a recap for those who didn’t get a chance to attend the panel for whatever reason, let’s talk about a few of the things we discussed on the panel. First, we touched on some examples of gaming tech that allow people with disabilities (PWD) to enjoy their favorite games. Some of the hardware mentioned were things like one-handed controllers, the Adroit Switchblade, One Switch, and various multi-function panels. One of the things, however, that we stressed in the panel, is that while all of these are great for gamers, they remain quite expensive, and out of the price range of most gamers. So, getting companies to bring the prices down may take a while, but at least the tech exists. On the software side, we did get a chance to talk a bit about the ability to tweak some games to make them more accessible. Things like subtitles, colorblindness settings, volume settings, and more were a great topic of discussion for us and the audience. We then moved on to the ever-present debate about disability representation in gaming. The panelists and audience talked about various characters in gaming who have disabilities, but whose conditions have been replaced (or glossed over) by technology or magic (e.g., Barrett from Final Fantasy VII, Kenshi from Mortal Kombat, etc.). We also touched on a few disabled characters who have been relegated to more of a supporting role (e.g., Joker from Mass Effect, Huey Emmerich from Metal Gear, and various others). Is it so hard to make a game where a character with a disability gets a protagonist role? Really, developers? It’s not all bad, however. 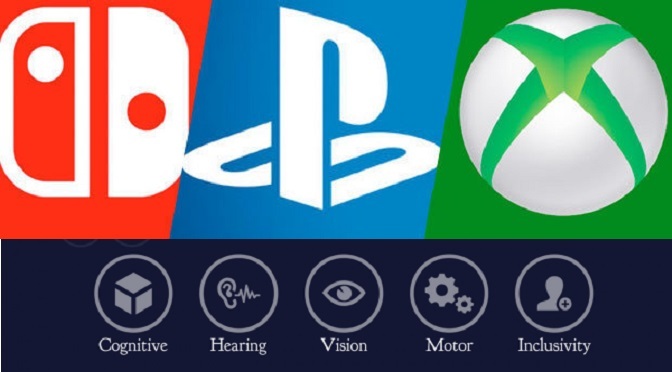 There are a few characters in gaming today (as well as some games) which prominently feature disability as a thematic element. There are beloved characters like Senua (Hellblade: Senua’s Sacrifice) with her schizophrenia, Symmetra (Overwatch) has autism, and Bentley (Sly Cooper), who uses a wheelchair. There are also games like Perception, which takes the player into the perspective of a blind protagonist, who uses something akin to echolocation to maneuver around a haunted area. There is also Moss, for the PlayStation, features a non-verbal mouse as its hero, who uses gestures (as opposed to ASL) to communicate. The bottom line here is that, if we as gamers let developers know that we appreciate the representation given by the existence of these characters and games, we can hopefully get more in the future. We topped off the central portion of the panel with some comments by our special guest; a Certified Occupational Therapy Assistant named Jen who works at a skilled nursing facility in Virginia. She also happens to be one of Doug’s best friends, so she was a perfect fit for the panel. Jen talked a bit about how gaming can be used for therapeutic purposes, to help rehabilitate individuals who live with things like dementia, stroke, spinal cord injuries, and other medical issues. Some neat examples of this are things like the use of the Nintendo Wii system as a tool to gauge and rehabilitate a person’s balance, using tablet-based games to work on memory, and phone-based games to improve fine motor control. Jen even talked about a neat piece of tech known as the Bioness system, which is used to rehabilitate different types of hand & foot issues. A system like this (as well as all of these other therapies), when used in conjunction with video games, not only challenges the mind and body, but offers a distraction from the pain and stress of treatment. Overall, our panel seemed to inform and engross, or so the laughter, nods, and applause from the audience suggested. Afterward, several people came forward to hold further discussions and ask questions. The most exciting encounter was when one attendee thanked us for the new information. He was a game designer who’d only attended because of his significant other, and the importance of accessibility and representation was something he never considered. Moments like this are why we write, advocate, and host panels – to bring new perspectives, especially for those in industries that need to adapt. Whether you saw us talk, read our articles, or are just thinking about this topic now – thank you for your attention and consideration.